Sure, when drafting your marketing messages it makes sense to include appropriate buzzwords that not only will speak to your audience, but that accurately depict the product or service you’re selling. But empty, meaningless buzzwords aren’t likely to sway savvy consumers who have been relentlessly courted with promises of “free,” “best,” “green,” “exclusive” and the like. The best marketing messages are the ones that are backed up with something that’s real. Seriously, I challenge anyone to explain to me how to cut a fry unnaturally. >> Seriously, I challenge anyone to explain to me how to cut a fry unnaturally. Maybe this shows the fine line between ‘marketing’ and ‘messaging’. 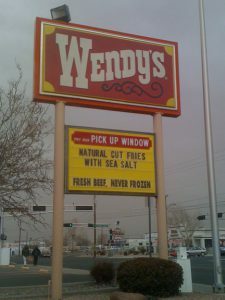 Most people who eat at Wendy’s know that it’s not health food. But the messaging using the word ‘naturally’ is trying to make people feel better about eating Wendy’s food, versus McD’s. Like McD’s oatmeal that has as much sugar as a Snicker’s bar. Blech. I have found that unnaturally cut french fries taste better. Maybe it’s meant to indicate that the skin is left on during the cut? Most fries are bald. Yeah, I’m sure that’s it Cameron. 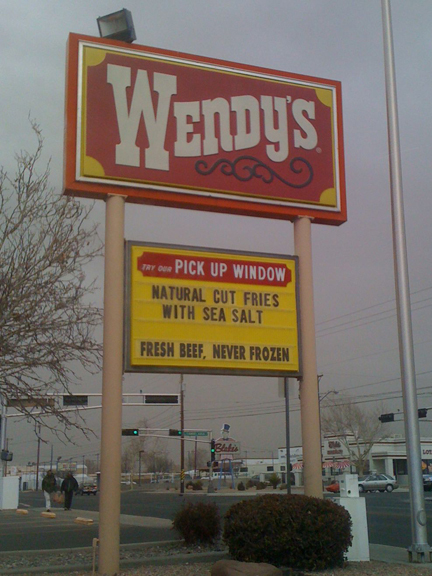 Still “natural cut” just sounds so absurd. BTW now every time I see “regular” fries I’m going to remember your comment about them being bald.